Get on the right Track and have your next event here at Railroad Park! Choose a space. View our event spaces, packages and rates (PDF). Review the Park’s event policies and procedures. View Event Rules. Decide if you would like to have catered food, alcoholic beverages, carnival rentals, audio/visual equipment and/or other amenities at your event. View our list of approved caterers and vendors. Fill out an events request form (PDF). 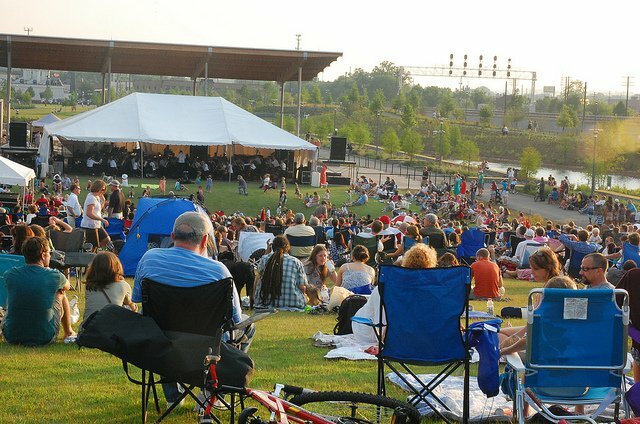 Fax or email your events request form to (205) 521-9922 or to events@railroadpark.org. Once your information is received, a representative from Railroad Park will contact you within 2-3 business days. Once approved, you will receive an invoice regarding your reservation. Reservations are on a first come, first served basis. Please make money orders or checks payable to Railroad Park Foundation. Unfortunately, Railroad Park Foundation does not accept credit card payments for facility usage fees. Reservations are confirmed once full payment is received.